After months and months of planning and preparation, the 2019 ACDIS conference is finally here. 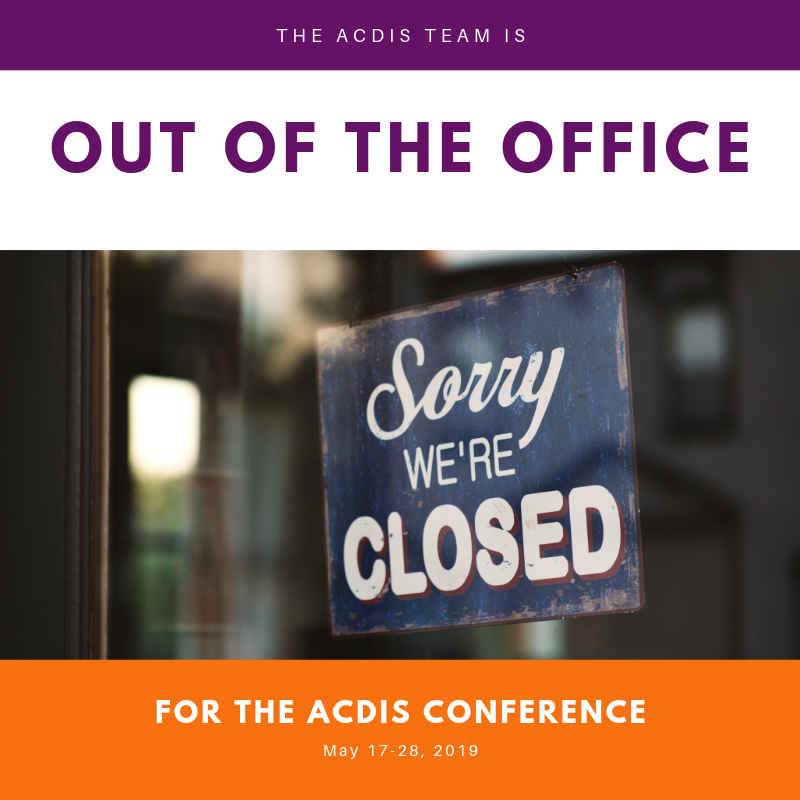 Due to the demands of the conference and the associated travel, the ACDIS offices will be closed starting Friday, May 17, and reopening May 28, after Memorial Day. Special event reminders/What to wear, what to wear? Should you have any questions regarding a missing username/password, website access, or membership expiration dates while the ACDIS offices are closed, please contact customer service at customerservice@hcpro.com or call 800-650-6787. We look forward to seeing you in sunny Florida!